If you're looking for high quality cruiser insurance for a standard or modified motorbike or chopper motorcycle at a reasonable price, then Bikesure, the specialist motorcycle division of Adrian Flux, can help. We have access to a variety of specialist motorcycle insurance schemes for choppers, cruisers, customs and kit bikes, and can offer cover tailored to your exact needs. With fantastic prices for all cruiser motorbike and chopper enthusiasts we offer a complete low-cost, high quality service to all owners of cruiser motorcycles and customised motorbikes. And as a specialist broker, we can offer cheap crusier insurance cover whatever modifications you have made to your cruiser bike. Whether you're a fan of the American Chopper, a Japanese super cruiser, or even if you've built your bike from a kit of parts, the beauty of these bikes is that your bike can be as individual as you - but finding a reasonable motorcycle insurance quote for your muscle bike may be somewhat trickier. The problem is that a lot of motorcycle insurance companies don't take into account the huge amount of time that cruiser motorcycle enthusiasts put into their motorbike and the knowledge gained from doing it themselves. Someone who has put in many hours tinkering with their bike will tend to appreciate their motorcycle more and take more care to avoid their motorbike being damaged. You can be confident that your Bikesure Cruiser Insurance policy will be designed to meet your individual needs as a cruiser motorcycle owner. 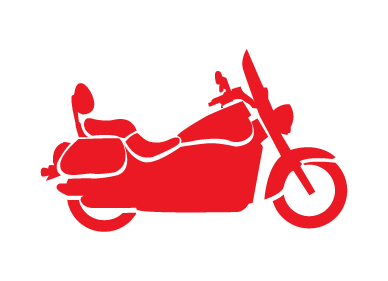 Bikesure can quote from a wide range of special cruiser insurance schemes, from a wide range of motorbike insurance providers, so for cruisers, choppers and kit bikes, we have you covered. With our special schemes for Harley Davidson and Buell owners, great rates for modified and cruiser bike insurance and agreed value offered where applicable, we're sure to have just the cruiser insurance policy you are looking for. Our online quote engine compares cheap cruiser insurance quotes and lets you choose which is best for your situation, allowing you to compare prices and policy features. And although you can buy online, we would always encourage you to speak to us over the phone - our specialist staff can apply extra discounts not available online, as well as answering your insurance questions. Your policy comes as standard with £100,000 of free legal cover and, if you need it, you can also choose to add agreed value cover, low cost personal injury cover, homestart breakdown cover and helmet and leather insurance. There are a wide range of discounts available to owners of cruisers and modified motorcycles, many of which are only available on the phone. If you have a modified bike, you can get even better insurance deals if you speak to us on the phone. We can take your individual circumstances and background into account to bring your price down substantially, because our staff can look at things in a less rigid way than a computer and are specialists in modified motorcycles and cruisers. UK based call-centres with highly trained staff mean we can answer any questions you might have and advise you on the features available from your policy. "I paid just £128.70 "
I covered my Harley for it's true value. "I bought my Harley Davidson at a discount from a showroom that was closing down, but I couldn't get an insurer to give me an agreed value for its true value, especially as I had a lot of valuable accessories too. 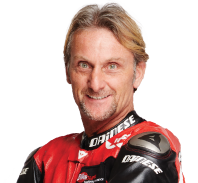 But Bikesure understood the circumstances and gave me Harley insurance for what it was really worth." Julian is 58 and from Oakham(LE15) in Rutlandshire, and a long term Harley owner until his circumstances changed four years ago. Now he's back in the saddle and has bought a 1996 FXSTSB Bad Boy 1340cc for £7,500. As the nine years of no claims that he had built up with his previous Harley dates from 4 years ago, he was worried his experience wouldn't count for much, but at Bikesure we are able to take these circumstances into account. Julian has over 20 years' riding experience on a full licence. Julian's rate is just £135.00 for fully comprehensive cover, or only £121.00 for Third Party Only protection. Ally is 35 and from Chandler's Ford, Hampshire (SO53). He has owned his beloved 2011 FLHRCI Road King Classic from new, and it's worth around £11,250. Ally has held his full licence for four years and has one year's no claims bonus available to use on this policy. Ally only has to pay £227.70 for fully comprehensive cover.